Thinking about making your own baby wipes? Then do it! It is easy, cheap, and wonderful for baby's behind. 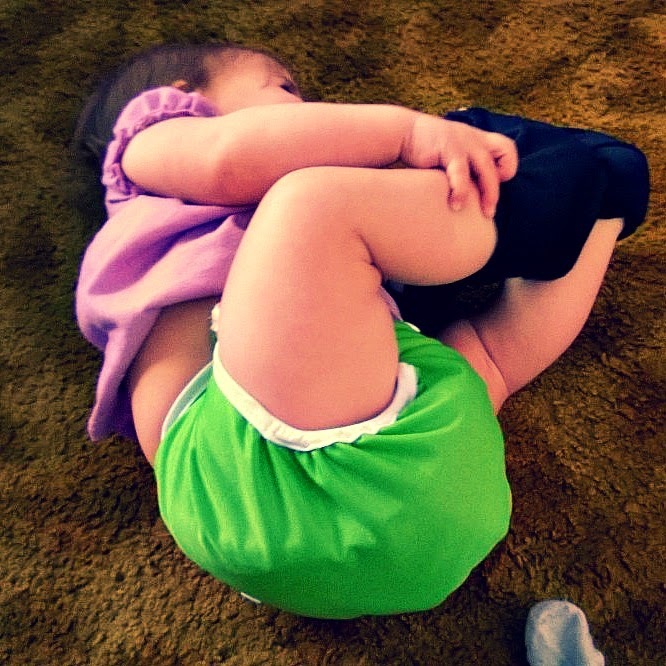 Besides, if you are using cloth diapers, it just makes sense. You can sew your own wipes, or just cut up some old t-shirts into squares--any natural fabric, like cotton or muslin will work well. If you prefer, you can also use paper towels with this solution, but I find they don't do as good of a job cleaning up poopies as cloth does. Grow your own Aloe plants for the Aloe juice. Make your own Calendula and Witch Hazel extracts (tutorial here). I like to make the solution a gallon at a time. I fill my spray bottle, and the rest goes into the refrigerator until I need a refill. The solution keeps at least 6 months, as long as it is refrigerated. Combine all ingredients in a gallon jug and shake well. Shake solution before each use. The solution can be poured into a spray bottle and sprayed onto a cloth or directly on baby. Alternatively, the solution can be poured over wipes in a closed container for "pre-moisted" wipes. I have found that this wipes solution, in combination with plenty of "naked time," is a great preventer of diaper rash. Please comment if you have any questions! Baby cleaning is a huge task and you also have to take care of your baby health. I like the article but frankly speaking don't get time to make these things. Okay, now this is just incredible! I had no idea one could make their own baby wipes. I learned something new today.